Since his death a few decades ago, the closest you can get to experiencing the genius of Frank Zappa in person is by watching his son Dweezil perform his touring act, Zappa Plays Zappa. But nothing quite compares with the real deal. A few Spotify playlists have popped up that give a crash course in two different disciplines of Zappa, totaling 82 hours of music listening. Ideal for both devoted Zappa fans and those wishing to get an education in the experimental classic rock icon, the first of the two playlists focuses on Zappa as a composer, collecting a number of orchestral performances of Zappa’s work. 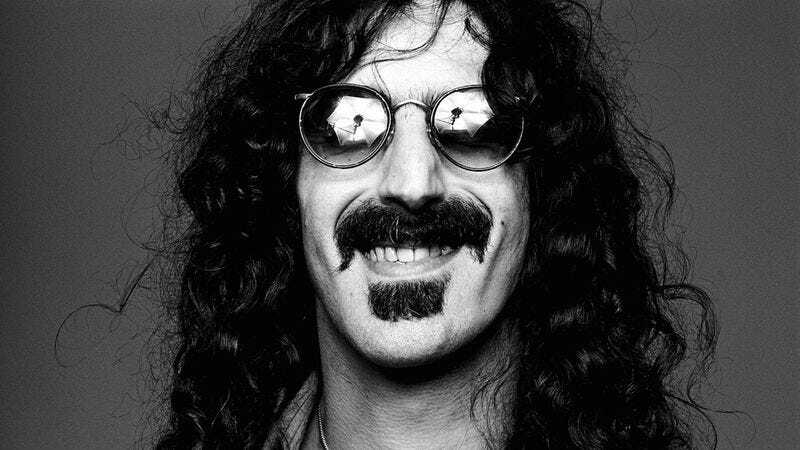 Some Zappa was directly involved in, while others find ensembles taking the music of Zappa and reinterpreting it through their own specific style. It’s about 10 hours long and highlights a side of Zappa that generally goes unappreciated. The second—and much longer—playlist, collects the canonical Zappa into one location, corralling his vast catalog into a single listening experience. The songs are arranged chronologically for a view into how how Zappa evolved over the years. Included are works attributed to him alone and with the Mothers Of Invention. All told, more than three full days of music listening are present, paving the way for an interesting listening weekend.